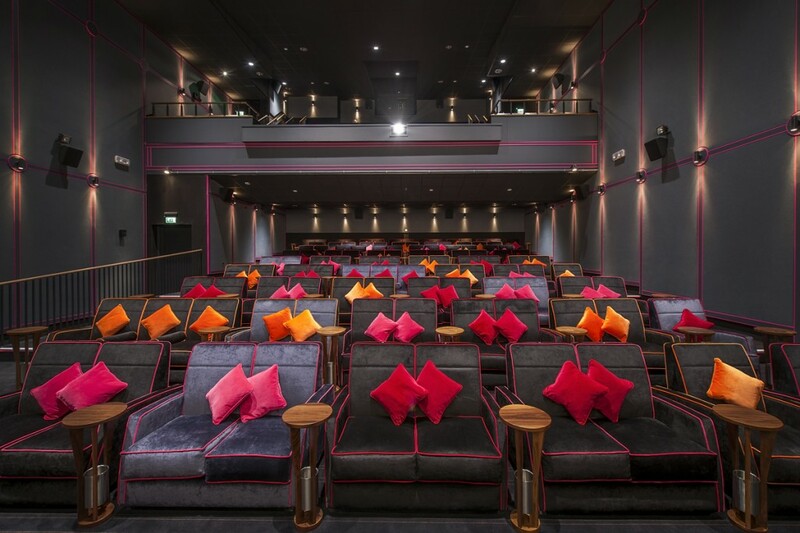 The largest Everyman cinema in the UK – and the first in the North. 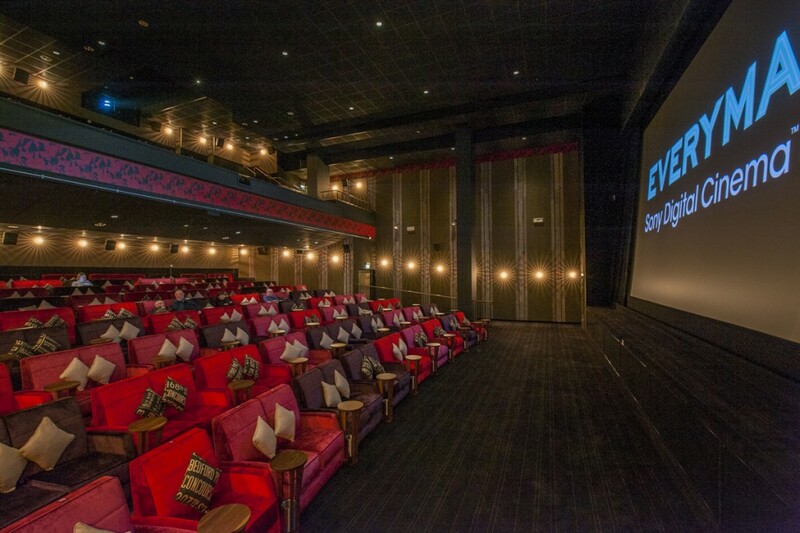 The venue offers a unique and memorable cinematic experience in a 3,700m squared space. 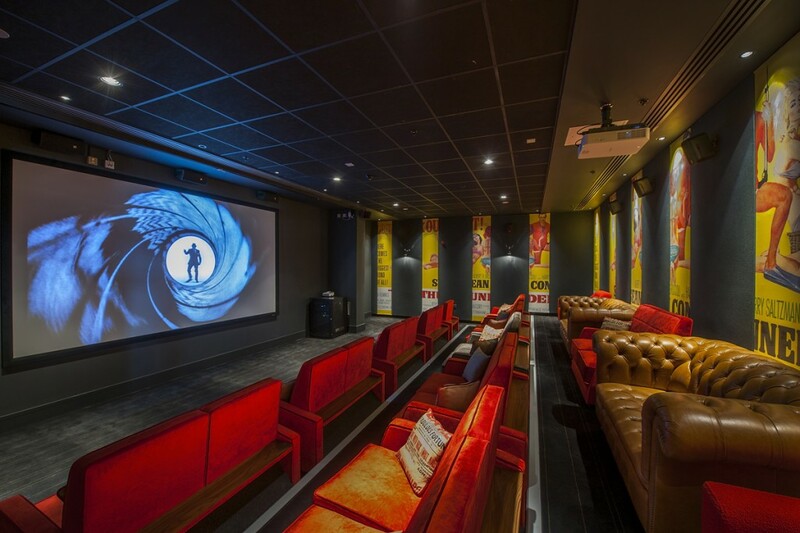 500 seats are spread across 3 auditoriums, and into was to consult on lighting design for these, a private screening lounge, outdoor terrace and bar area. 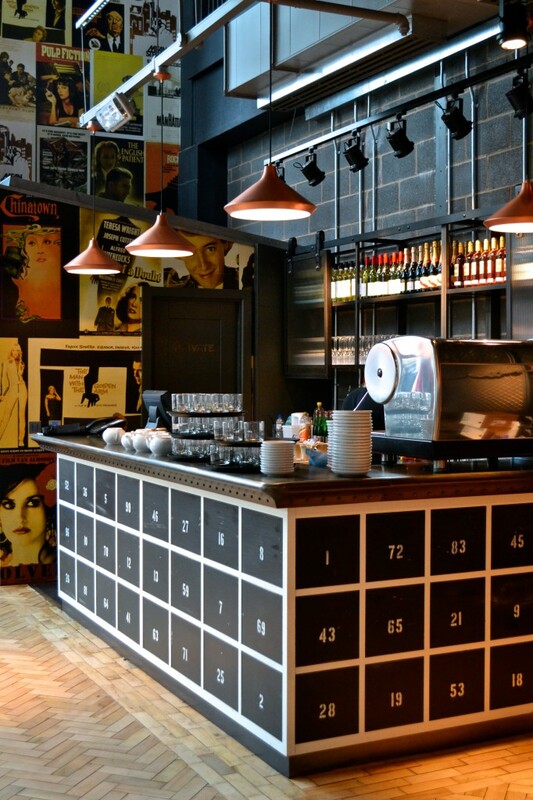 The approach to lighting was to be eclectic and unconsidered, and was specifically not to include architectural fittings usually used in a venue of this type. A suspended black track with spotlights was the solution for the main atrium, with low-glare LED lighting in a bespoke retro-styled fitting. into worked closely with the designers to evaluate and consult on the selection of feature lighting. The usual approach for a project of this scale had to be re-evaluated to provide for an unconsidered look. 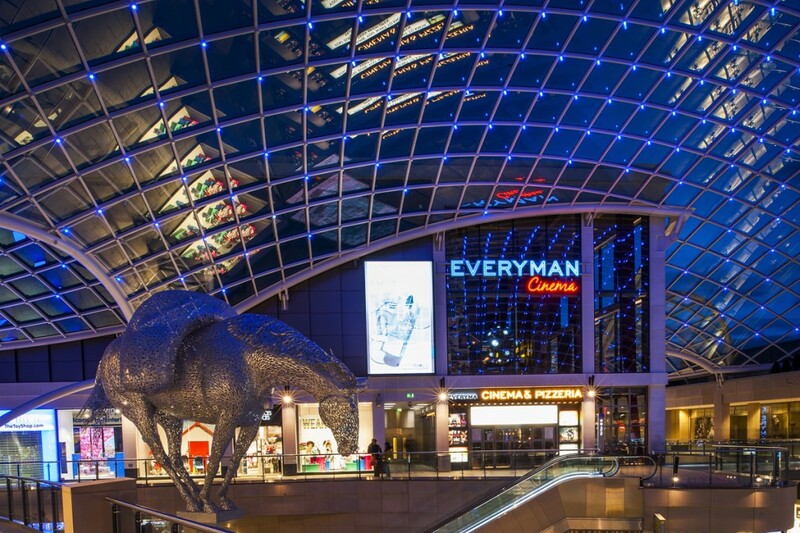 Lux levels and light effects were carefully calculated on such a large, architectural space and the result is a successful lighting solution in-line with the brief. 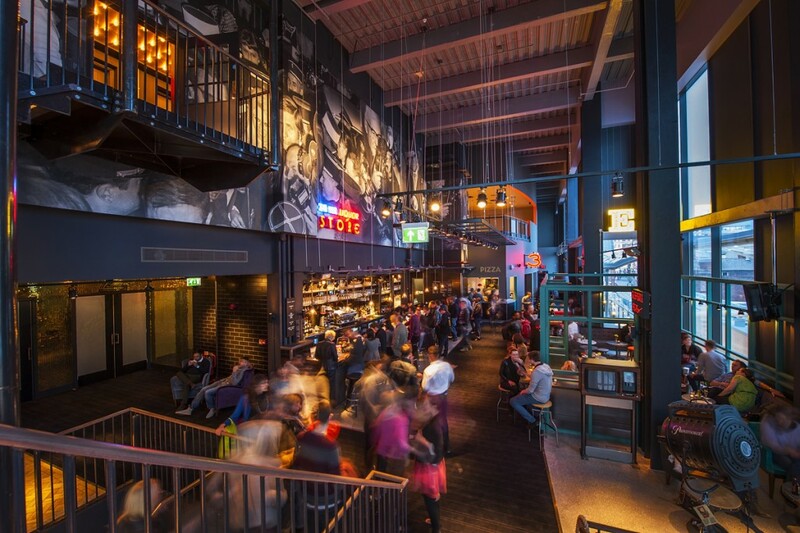 The lighting scheme was a finalist at the Lighting Design Awards 2014 in the Lighting For Leisure category.